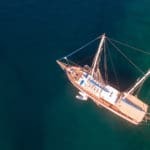 ﻿How Do You Know To Choose The Right Gulet Charter? 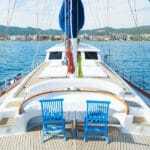 Chartering a gulet in Turkey is really an easy process. 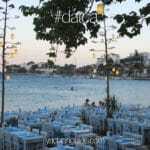 What takes the time in this type of holiday is choosing the gulet that meets your requirements. Since private gulet cruises are a personal style of holiday, tailored according to your preferences and various other criteria; it means providing the necessary information to help your agent offer you the boats that may be suitable for you and your guests. The key information required by an agent is knowing your budget. It is also helpful to know how many will be in your group and if there are any children and teenagers as well. Another piece of information that helps, is your food preferences. Just imagine, a boat is prepared for you to meet within your standards, budget, food likes and dislikes, activities you wish to do, places you would like to see, times you prefer to eat, how long or short you wish to stay in one place, and so on. Most times, it takes the crew a couple of days to get to know you and your guests and visa versa. 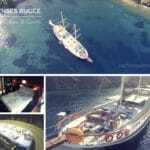 Once you and the crew are used to each other, the gulet charter holiday becomes more entertaining and enjoyable and it helps to serve you even better during your cruise. Going back to how to choose your boat. The more information you provide, the shorter the list becomes to choose from. Then it’s a matter of making a group decision with your group leader and then confirm your booking. Other than providing the information to your agent, asking questions in areas where you are not sure of or require more details is helpful to you. What sort of questions can you ask? Well, the crew, the menu options, what to pack and what not to pack, the rules on board, places possible for dining ashore instead of on the boat, activities that are available and the costs, if any, about the activities (water sports or land excursions), payment terms (which should really be provided to you even before you ask), what’s included and not included in the charters (again should be provided in advance), and routes – where is the boat you like, available to cruise. There are certainly more questions that can be asked, but these are basically the ones that will assist in understanding the type of holiday you may experience. If you have any more questions, please do not hesitate to contact us or you can fill in the form below and we will return back to you as soon as possible.